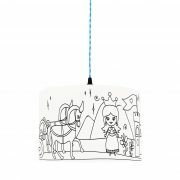 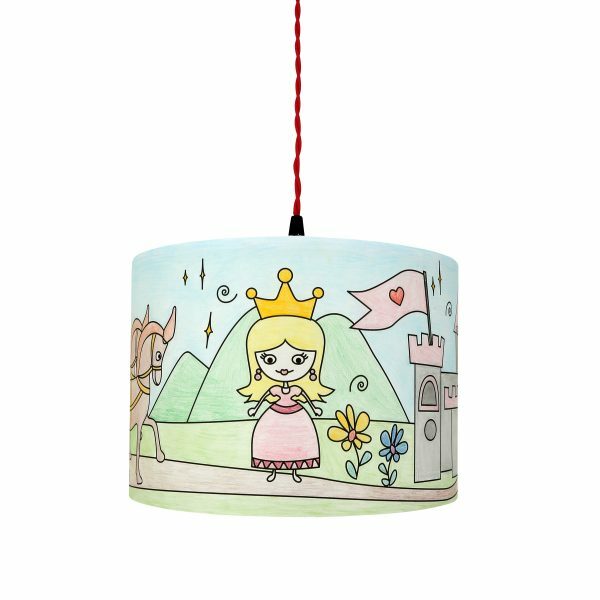 With a classic round drum shape, the Princess Kingdom Kids Lampshade is a perfect and original way to give a lovely warm glow to any room. This colourful lampshade would be an ideal choice for any child’s bedroom, playroom or nursery. 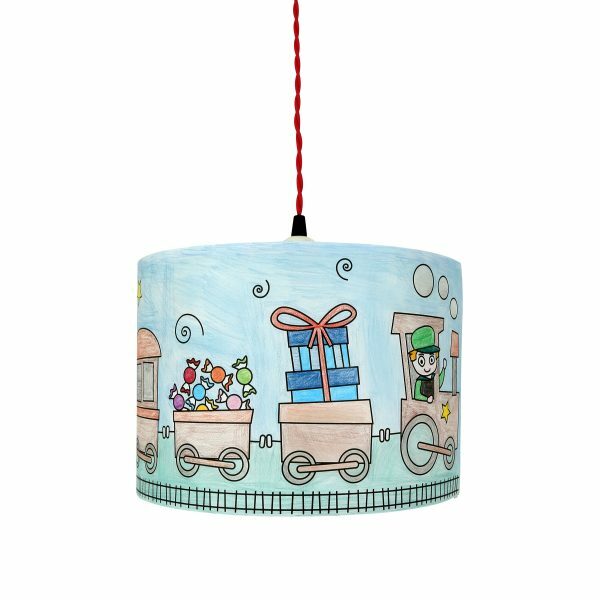 An wonderful accent for used in a study or on a bedside lamp. 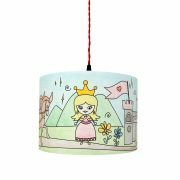 With a classic round drum shape, the Princess Kingdom Kids Lampshade is a perfect and original way to give a lovely warm glow to any room. 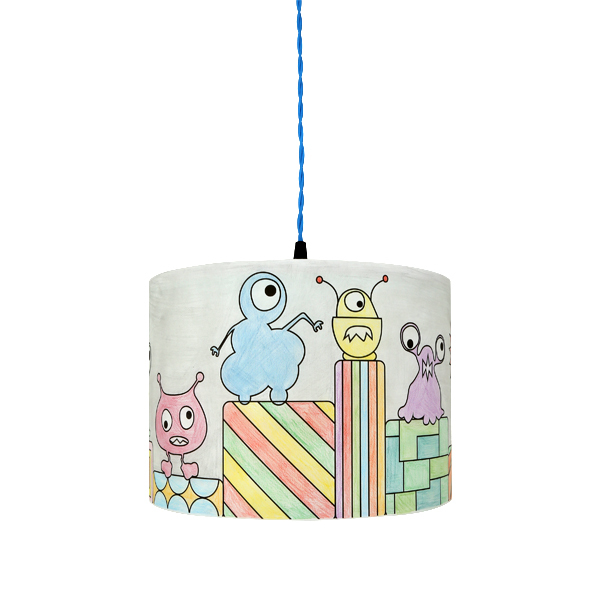 This colourful lampshade would be an ideal choice for any child’s bedroom, playroom or nursery. 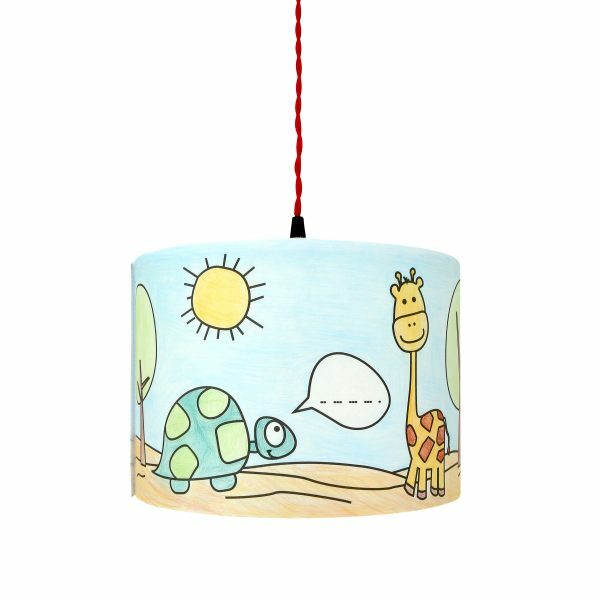 An wonderful accent for used in a study or on a bedside lamp. 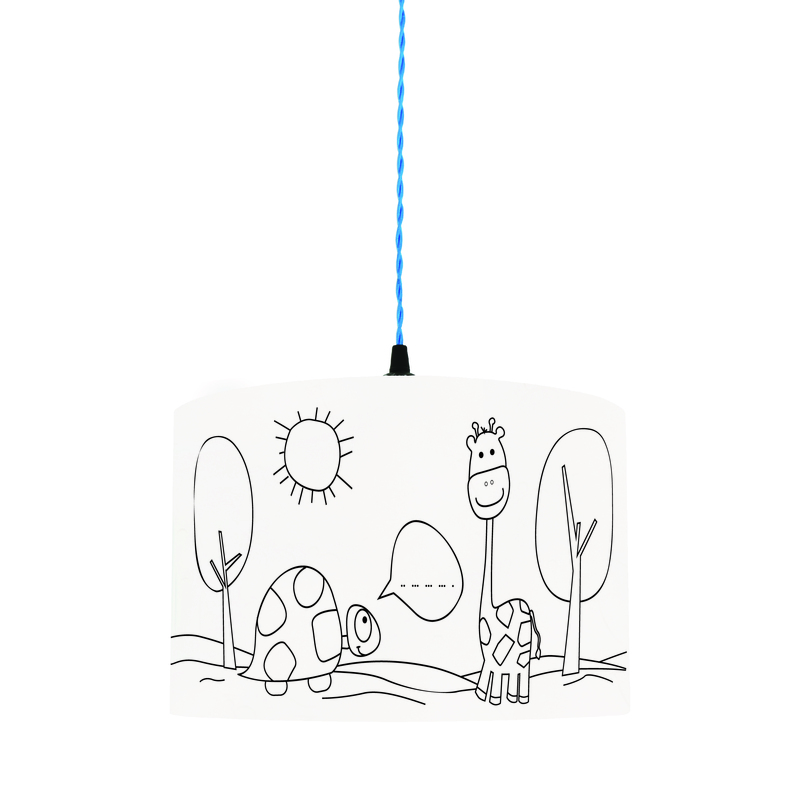 Designed to hide the glare from the light bulb, this bespoke kid lampshade has a rolled edge and comes with an adaptor ring to make it suitable for both standard UK and European fittings. 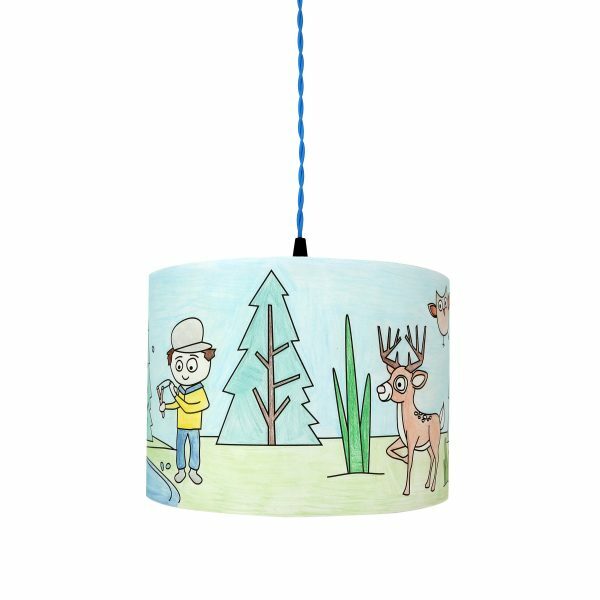 Suitable for ceiling pendants, table and floor lamps, this custom-made lampshade looks great when lit with a warm bulb to cast an inviting glow into your room. Bulbs and suspensions are sold separately.